1. What is the difference compared soft (CQ) and hard material (SQ)? Commercial Quality (CQ) SGCC/CGCC 205min* 270 min. Structural Quality(SQ) SGC340/CGC340 245 min. 340 min. SGC400/CGC400 295 min. 400 min. SGC440/CGC440 335 min. 440 min. Full Hard SGC570/CGC570 560 min. * 570 min. 2. How can Thermoshield steel helps in prevent dirt staining? realcolor® Thermoshield coating system has hydrophilic technology (refer below mechanism) that works by shifting off dirt particles from the coated substrate rather than dirt particle sticking, drying and embedding on the surface. 3. What is the mechanism make Thermoshield “cool”? Generally, solar radiation gives out light and heat to the earth in the form of electromagnetic waves (ultraviolet, visible and infrared). Majority of heat is come from visible and infrared range. 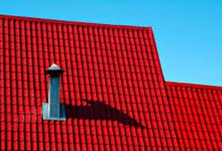 realcolor® Thermoshield product able to reflects and emits most of the energy near infrared range. Thus, this will help reduce the amount of heat adsorbed into a structure and keep the shelter environment cool. 4. In term of corrosion resistant, which product performs better? GI or GL? 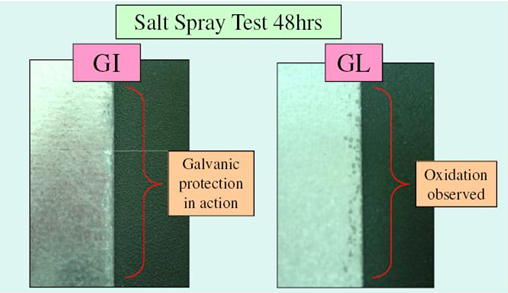 GI coating is purely Zinc, shall provides more protection to steel substrate by the sacrificial loss of Zinc in the vicinity of the exposed substrate (cut edge and scribes), as compared to GL. 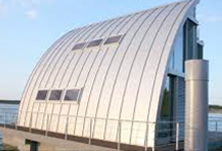 GL coating is more fragile and easily cracks at bended areas, resulting in steel metal being exposed to atmospheric elements at these areas. Furthermore, GL also poor in alkaline resistant compared to the GI (Please refer Q9). Therefore GL is not suitable to be used in agriculture facilities. 5. In term of corrosion resistant, which product performs better? PPGI & PPGL? PPGI that produced under CSC STEEL brand realcolor® Primero/Thermoshield/Supreme have been properly designed, manufactured and tested out to have outperforming performance when compare to equivalent PPGL under same environmental conditions. 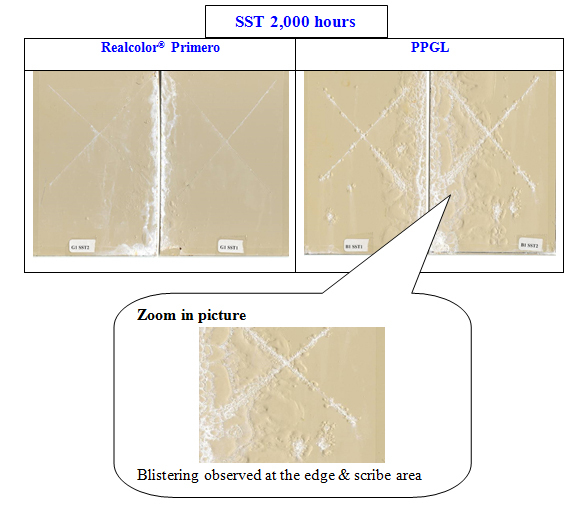 2000hrs of salt spray test (SST) simulating the corrosion resistances of realcolor® Primero versus PPGL panel has been made and results are presented as below. 6. 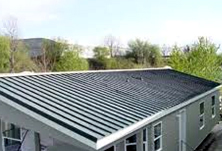 How to extend the life span of metal roofing? 7. How to prevent white rust formation for Realzinc™ product? 8. How to over-painting Realcolor® steel? How to repair of minor scratches? Touch up paint can be used to repair or cover up minor scratches. For further information, please contact technical person from CSC Steel Sdn. Bhd.